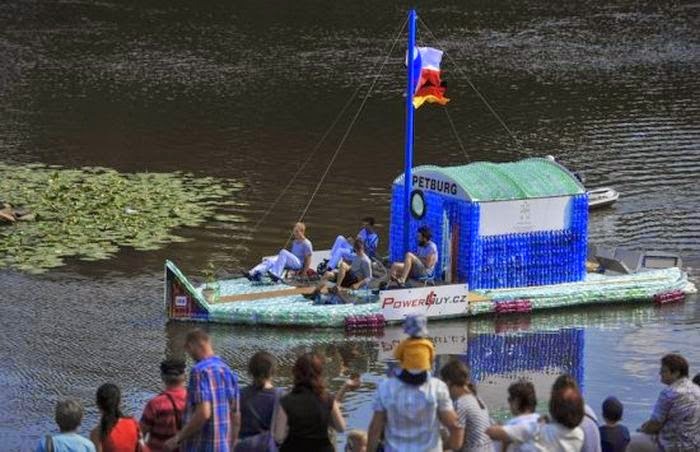 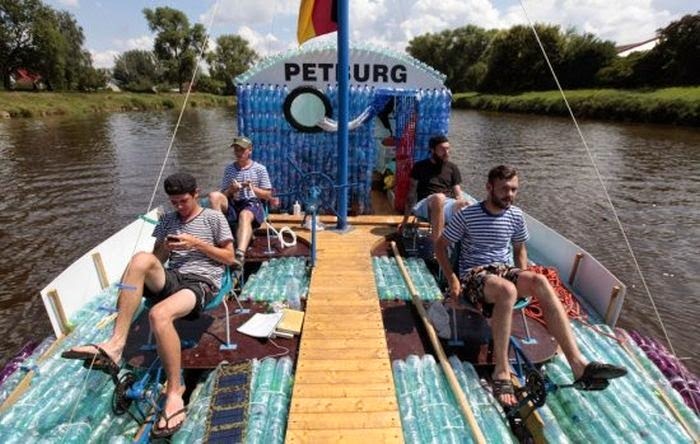 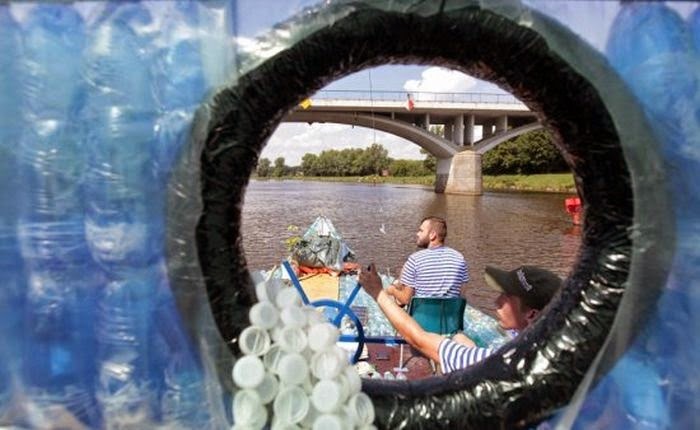 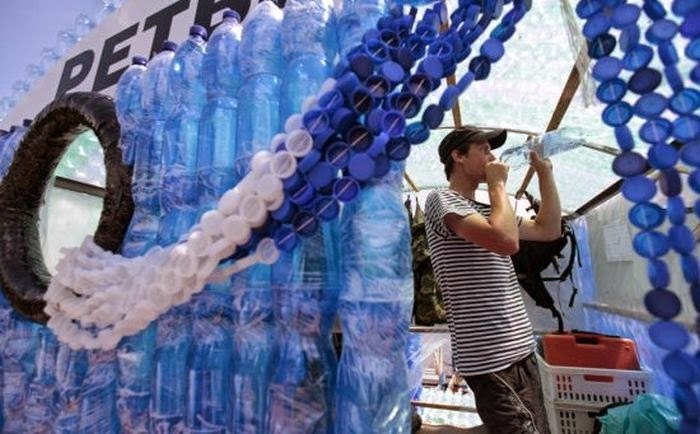 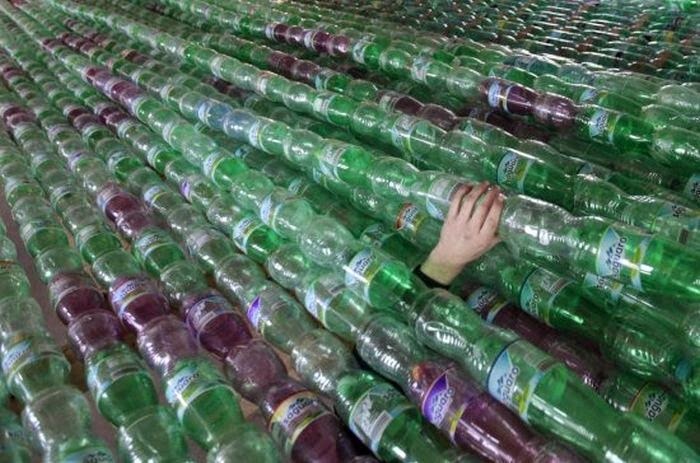 22-year-old student Jan Kara and 21-year-old mechanic Jakub Bures have embarked on an ambitious project involving 50,000 plastic bottles. 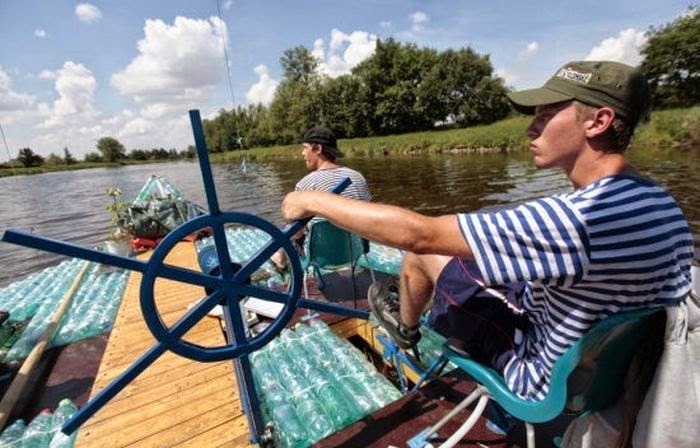 Fed up with pollution and the lack of concern for the environment, the two young men wanted to take discarded plastic bottles and turn them into something functional. 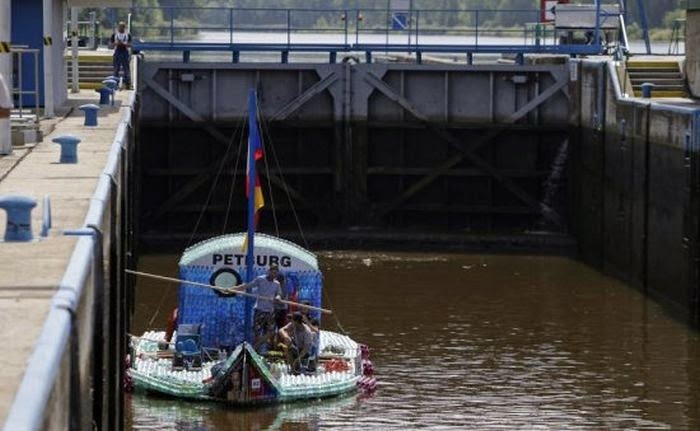 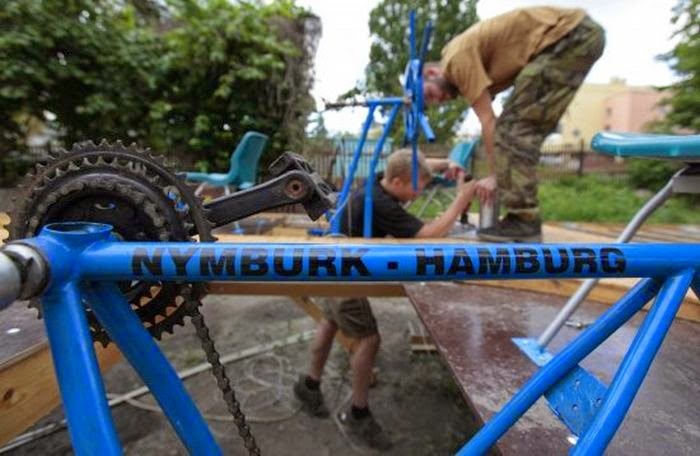 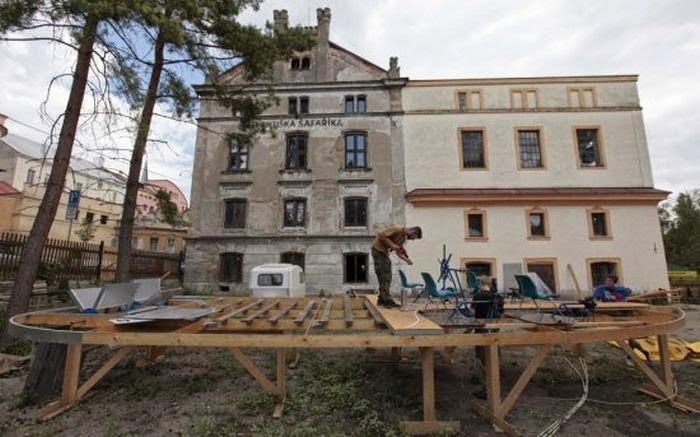 Ultimately, they decided to build a boat and sail it across the Elbe, one Central Europe's major rivers. 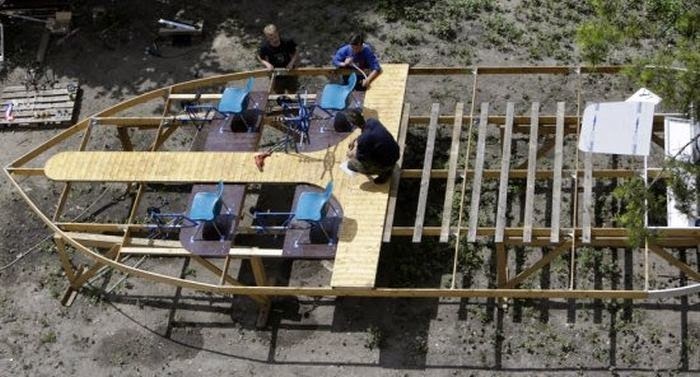 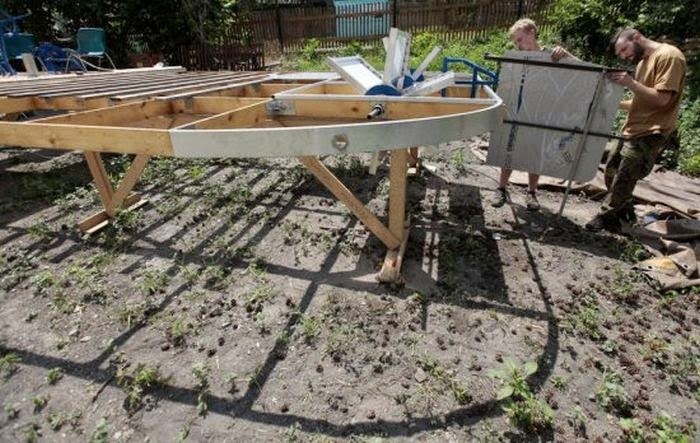 They created a sturdy wooden frame and attached a rudder to a steel propeller in the back. 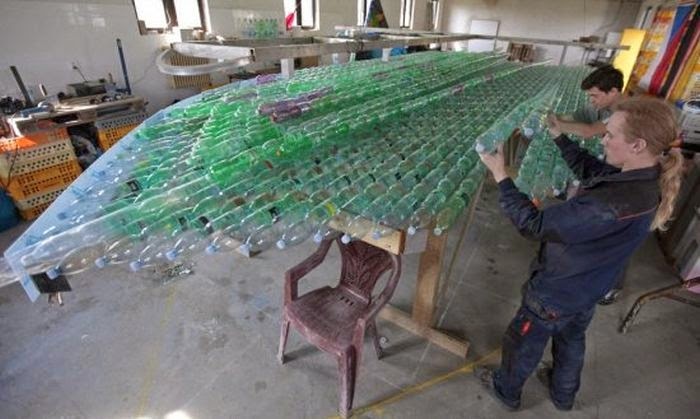 As well as plastic garden chairs for seating. 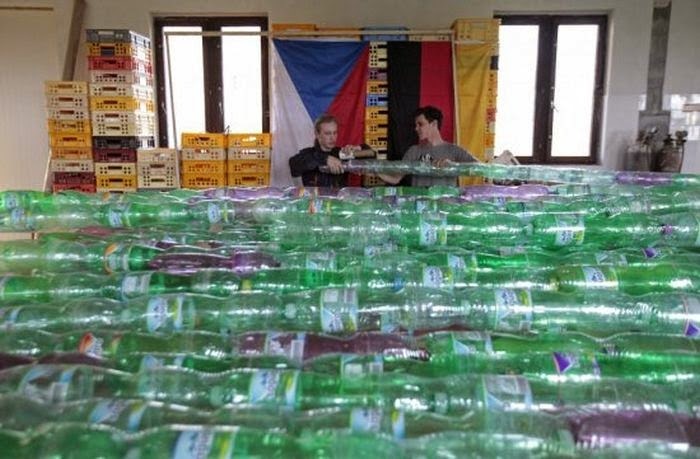 Finally, they assembled their collected bottles, making sure to fill them with dry ice (for extra buoyancy) just before sealing them shut. 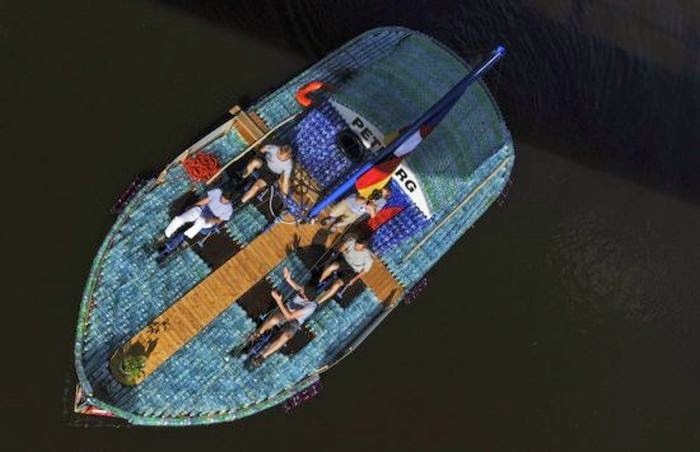 With another friend, Jan Brand, to help pedal their custom boat, the four guys set sail on July 12th. 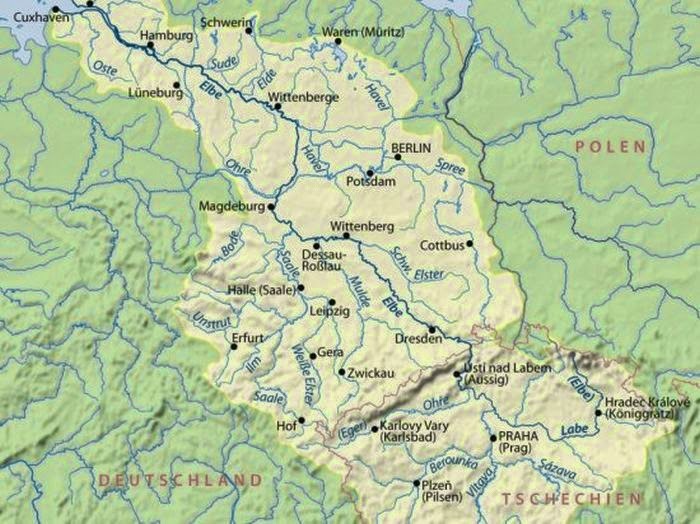 This is the path that Kara and Bures are scheduled to journey across, from the town of Nymburk to Hamburg.